When an individual wishes to immigrate to Quebec, he/she must apply directly to the government of Quebec. There are different procedures in place for Quebec immigration than there are for immigration to other locations in Canada. In order for an individual to successfully achieve immigration to Quebec, it must first be selected by Quebec to work within the territory. 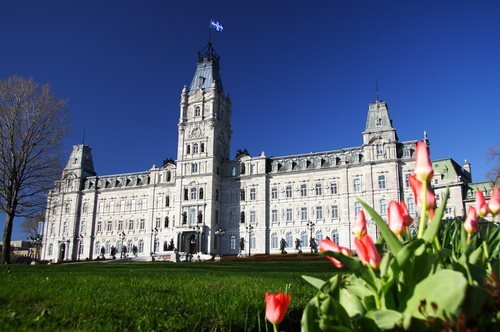 The Canadian government will then review the applicants that have been selected by Quebec and decide which are eligible for admission into the country. Therefore, the process involved in Quebec immigration is often very selective. There are a number of different ways in which an individual can live in Quebec. He/she can either reside in the territory permanently or temporarily. Certain procedures must be completed for either. An individual can reside in Quebec as a temporary worker or as a foreign student. This will allow him/her to reside within the territory for a specified period of time, while he/she is working in his/her desired field or completing his/her education. If an individual wishes to achieve immigration to Quebec and become a permanent resident, he/she must qualify under a specific category, such as a permanent worker or a business person. An individual must be employed in a desired field or operate a business that will benefit the Canadian economy. A citizen of Canada can choose to sponsor a family or a refuge from abroad. If the sponsor meets all of the necessary requirements, he/she will be able to assist an individual or a family member immigrate to Quebec.